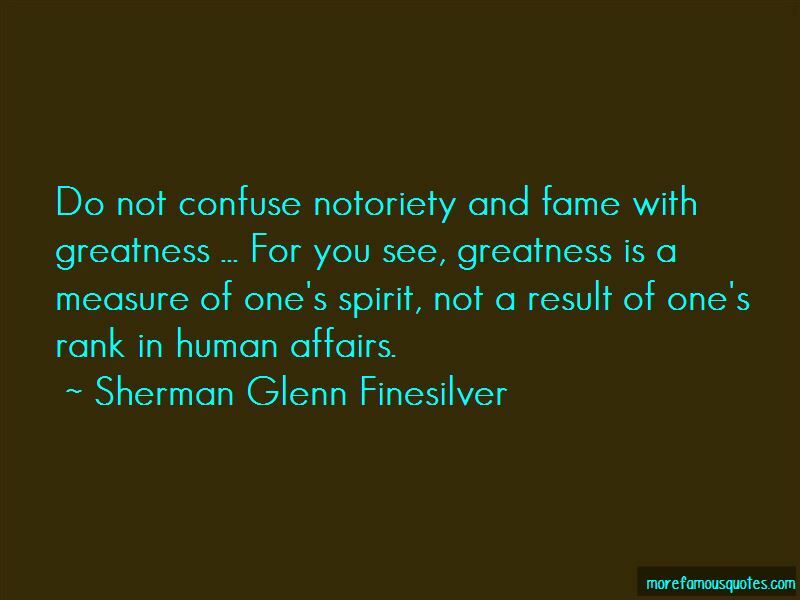 Enjoy the top 1 famous quotes, sayings and quotations by Sherman Glenn Finesilver. Do not confuse notoriety and fame with greatness ... For you see, greatness is a measure of one's spirit, not a result of one's rank in human affairs. Want to see more pictures of Sherman Glenn Finesilver quotes? Click on image of Sherman Glenn Finesilver quotes to view full size. “The first thing to consider is education. This is divided into two parts, music and gymnastics. Each has a wider meaning than at” — Anonymous. “Under the appeals court ruling, the government must also show more than just friendship between people sharing in inside information in order to” — Anonymous.